She is Hillary Andales, 18-years old and a student of Philippine Science High School - Eastern Visayas Campus. She is from Leyte who defeated all competitors for explaining the complicated Relativity and Equivalence of Reference Frames in just a three-minute video. 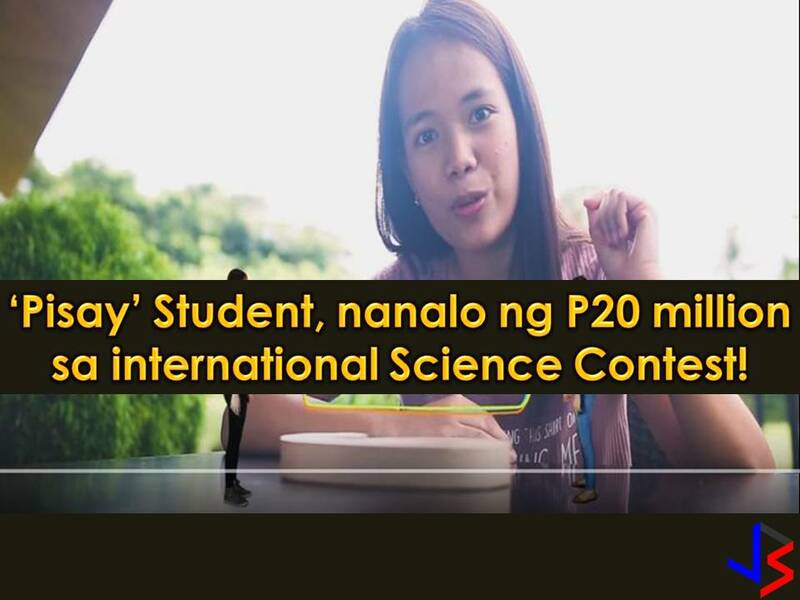 With this, she is awarded over P20 million worth of cash prizes after beating 11,000 other students from all around the world in Breakthrough Junior Challenge (BJC). The BJC is a yearly international science competition, founded by Facebook founder and CEO Mark Zuckerberg and his wife Priscilla Chan, other with other four people. The Pinay student is the first Filipino to win the competition and she received the award at the National Aeronautics and Space Administration Ames Research Center in California on December 3. She was awarded $250,000 worth of college scholarship and $100,000 Breakthrough Prize Lab for her school while her science teacher gets $50,000.